Any big surprise? I mean, Grade A sexual harassment material, she isn't. What's the attraction? A figure made for celibacy and a face only a Marxist could love? 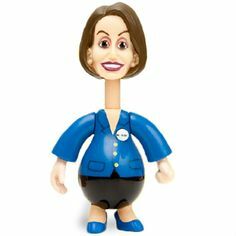 "NANCY PELOSI Doll: Botox Lab & Karl Marx Library Each Sold Separately"
What a fine spokes woman, for the Democratic Party. No wonder the federal government is spending so wildly when leaders can’t tell a number that has 9 zeros from one that has 12. Seconds later, she said, “Education being essential. Education, by the way, being any money being spent on education that—” she said before stopping and staring at reporters, and continuing. Suffering an apparent brain freeze, Pelosi said, “House and Senate, Democrats and Republicans and the White House, as to uh— what— when that will happen,” blurting it out. “It has to happen soon so that we can have it done, uh, by the um— the end of the— con— ca— uh, the continuing resolution,” she finally said. 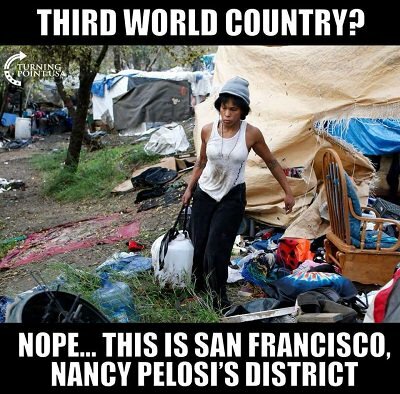 Is it any wonder more Democrats are calling for new leadership? So I take it this is where the path to win back the House begins? 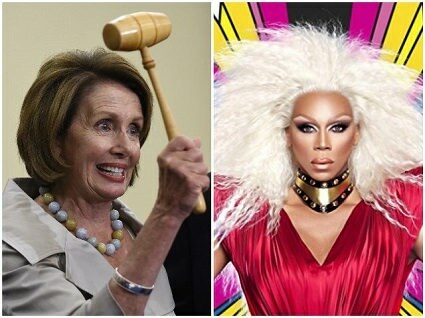 Minority Leader Nancy Pelosi has confirmed she will be appearing as a guest judge in an episode of "RuPaul's Drag Race All Stars"
I would really miss her if she , went away. I used to feel embarrassed, for her. 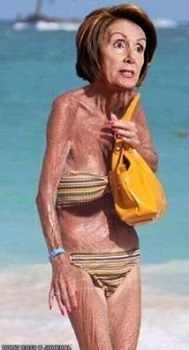 She believes she doing fine, so all is good! 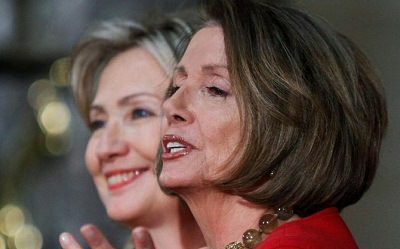 VIDEO: 23 Nancy Pelosi brain glitches — in less than 6 minutes! Nancy Pelosi had a bear of a time making it through a 6-minute speech on Wednesday. While honoring members of the Office of Strategic Services for their actions during World War II, the House Minority Leader suffered numerous brain glitches during the short remarks. As compiled in a video by The American Mirror, Pelosi misspoke, repeated words, froze, or garbled words no less than 23 times during a speech that clocked in at about 5:33. Although it's just a Quartz, NRA hit piece, The ad was great! Pelosi Pans "Strong" Jobs Numbers As "Meaningless... Bad For Middle-Class"
Democrat Leader Nancy Pelosi seems to have reached peak cognitive dissonance this morning. Following the better than expected jobs data pushed the unemployment rate to its lowest in almost 50 years, the California politician issued a statement seemingly proclaiming that all of this is bad news for US workers. The Rest of "The Nancy Non-logical rant"
But Nancy won't say that. At least, not publicly. That cognizant, she is. 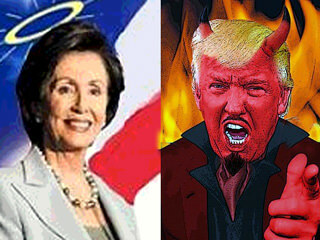 Pelosi: GOP Compromising "With The Devil"
devil'', not Democrats, on two immigration bills up for votes on Thursday.